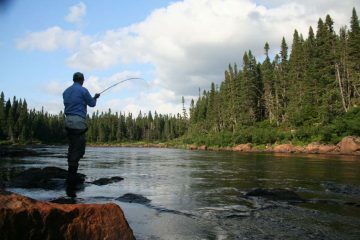 Explore Newfoundland offers full day fishing adventures throughout Western Newfoundland. There are over a hundred fishing locations in the area, and our guides will be sure to show you the best spots to increase your chances of getting the most impressive catch. Some of the largest salmon caught on our tours were onsite at the banks of the Humber River.